WANT TO HELP? HERE ARE A FEW WAYS TO GET STARTED! Join ACBA as we transform the landscape for cooperative businesses in Central Texas. Now is a great time to get involved with our Board, Committees, Fundraising and Special Projects. We're working in many different ways to impact our local co-op economy. Fill out our form to get plugged in today! Our best recruitment tool is our members! Attend a community membership event and invite a friend. All members are invited to join one of our committees. We've created a committee for each focus area (Outreach, Nominations, Business - Advocacy, Housing - Advocacy, and Education). The ACBA is doing research, outreach, public speaking, meeting with City staff and more to raise support for worker coops in Austin, and we need your help! If you have 2 - 10 hours a month to give, complete the form below! Outreach - Help ACBA connect with all the co-op supporters in Central Texas. Plan events, create content for communications, and make sure local co-ops know we're there to support them! Business Advocacy - Are you passionate about worker co-ops and other cooperative businesses? Join this committee to help create local and municipal rules that support and encourage empowering, mutually-owned businesses. Housing Advocacy - Co-ops have a key role to play in planning for a thriving city with housing that meets the needs of all citizens. This committee works closely with the City of Austin to develop policies and programs which strategically deploy limited resources to effectively harness the power of cooperatives. Education - What exactly IS a co-op? How is it different from other businesses? How can cooperation impact individuals, neighborhoods, cities and regions? 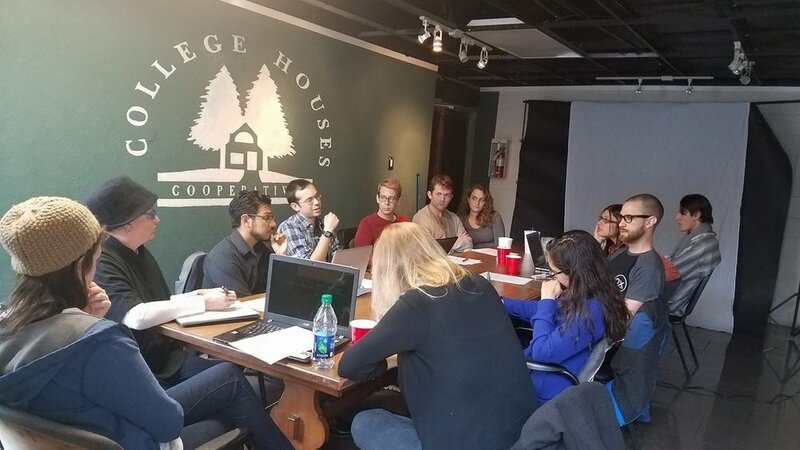 If you love thinking, discussing and teaching others about cooperatives, we'd love to have your energy and enthusiasm on the Education Committee. Each member brings their own unique influence and impact to our organization. Be a liaison with our community partners. Contact board@acba.coop to learn more! ACBA hosts a number of events each year, including our Annual Meeting, volunteer trainings, educational workshops and community happy hours. It takes a diverse group of volunteers to make these events happen! Help raise funds for operations and events. To learn more - drop us a line, read our blog or sign up for our monthly newsletter!